Hi beautiful people. I was searching through the blog archives and I found my old Valentines Day inspiration post and thought it would be a good idea to do another one since February 14th is popping up sooner than we thought. 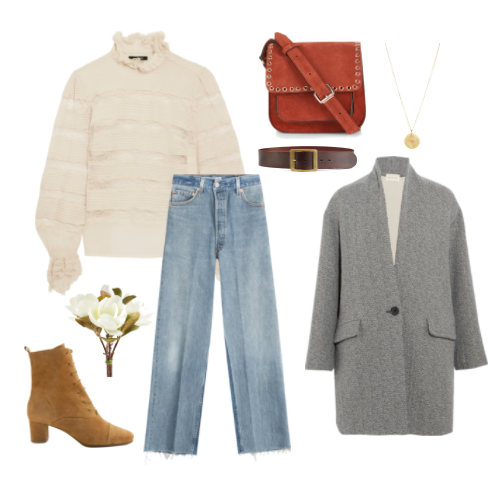 Not that it's that crazy of a holiday, but I love curating outfits to help if you guys are in a pickle decision-making wise. And, like I stated a year ago in the last blogpost, no matter how/who you are spending it with I hope you spend time treasuring yourself too. Whether you're single, sort-of-not-single, in a relationship, or many of the other options, know that you are precious and whoever you are spending it with is very lucky to have you. Champagne. Facials. Cozy blanket. Candles. Lace. Wine with your man/woman. Red lips. Black lace. Gold jewels. High ankle boots. Flirty dress. Lace up heels. 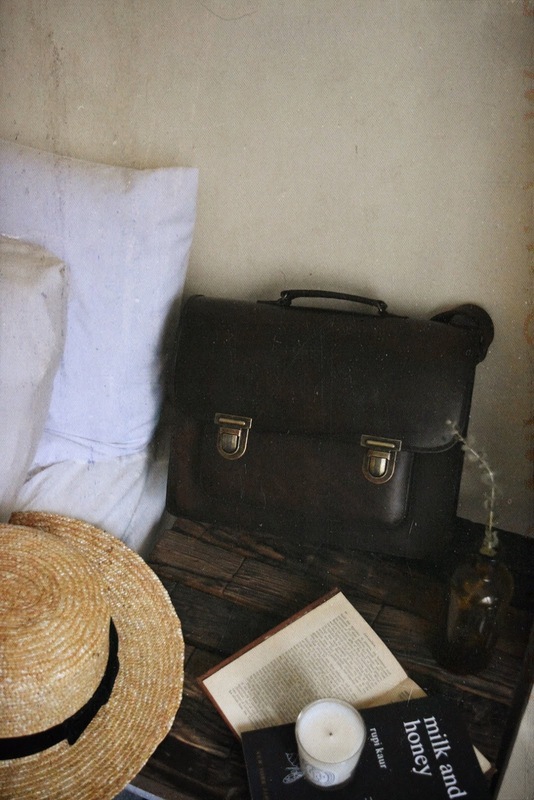 Vintage bag. Day out shopping. Club/bar at night. Comfy vintage jeans. French touches. Trench coat. A cute dinner and movie night. Hi guys! So I'm back here to do a little advice/chit chat talk because I love doing these and it really means the world when you guys want me to talk about something or just share my experiences and help. Not that I'm an expert, at all, but obviously as I have grown older I have truly learned a lot of things about myself. Ever since starting college last year, it has become apparent to me that I am not a procrastinator. 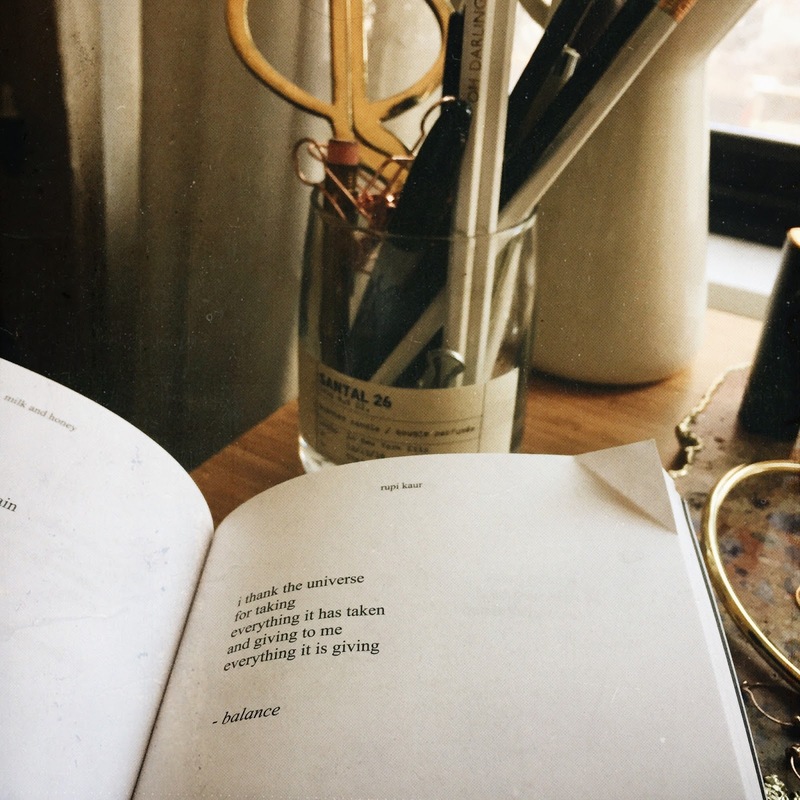 And, though I have talked about this in one of my Youtube videos (which you can watch here) I still wanted to write about a concept that is really important when you want to try and be an organized, wholesome, and happy individual--balance. Now, even though I am a really organized person, I still get really nervous and anxious about the little things in life or when I feel as if I have a to-do list breathing down my back. And though I am super happy a majority of the time, stress is my worst enemy. It makes me want to cry, push away everyone, lash out, and sort of just want to disappear for a little. Which is why it has become so important to me that I don't get to those points...which can be so hard--especially when I (and a majority of all of us) have emails, due dates, blogging picture due dates, meetings. But, that is why balance is also so important. I learned that the best way I get things done is to do them as early as possible. This eliminates so, so much of my stress. Basically, if I have a free day or a free chunk of time out of my day in which I have no plans, I start an assignment that might be due like a week or two from then. I know, it seems a little insane, but you will be so shocked when you realize how much stress that eliminates. Just literally opening up the assignment and doing the APA format requirement is a step. Because truly, the fact of the matter is--starting is the hardest point in anything that you do. It is finding that motivation and that feeling from inside that always tends to hide, especially when it comes to a task you really don't want to do. Taking that first step will make all the difference in the world. I like doing that 1-2 weeks before practice for big assignments and papers, but I also like to start a bit early on small things like reading or taking notes for homework. If it got assigned that day in class, I will do it that day. That way, further into the week, you don't have to be like wait, what do I have due again? because it will already be done. It is just the best way to keep organized and check things off your to-do list efficiently. And also, having a planner will help so much. That way you can write your assignments down and never forget about them! Now, what about other things? When I am done with school work, I reward myself. That is when I take my blogging pictures, listen to music, feeling free and happy and as if I have conquered my day. Just utilize that time to do the things you love to do. Write, maybe see a friend, go for coffee. Now, I am really lucky that these are the only two things that I am dedicated to--school and blogging (work). So many of you have part-time jobs, internships, sports, etc. I had to do that for 2 semesters and it was really, really not fun. I would have an internship/job right now, but I am taking a lot of difficult classes and I really wanted to focus more on blogging since that is technically my "job" as of right now (and it is a career I want to have for life.) But, for those who have even more on their plate, I would suggest just dedicating a slot time for everything. After class, get your homework/assignments done, #1. Then, with your leftover time, divide it up. One hour for yoga, another hour for photography/writing. Then, after dinner and when you're having relaxing time, answer a couple of emails, prepare yourself for tomorrow, plan out your outfit. 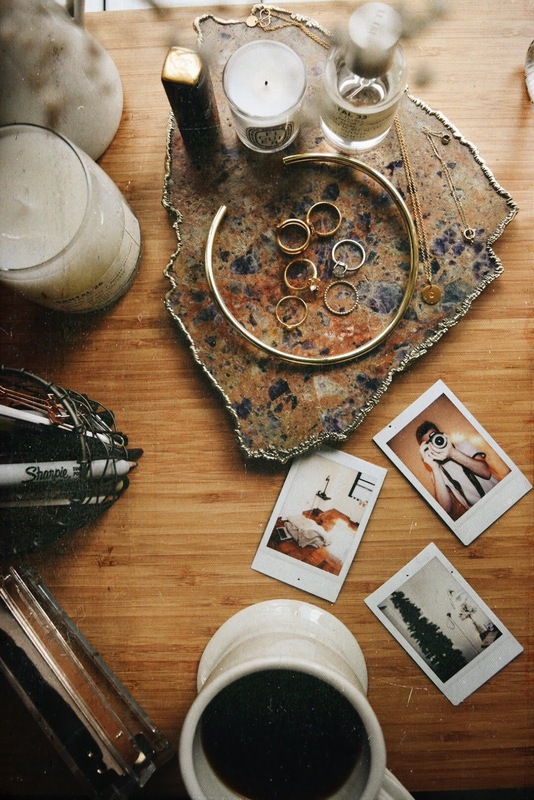 I love planning the night before because I know then I won't be scrambling in the morning--I can have my cup of coffee, check Instagram, maybe even watch the news. It just gives a real sense of inner peace and you will feel even more stress-free. While we are talking about balance, I also want to say that I think it is really important if you can just have a day, or maybe even half a day, to just focus on yourself. No work, no assignments, just you and maybe a nice shower/bath, some tea, a facial, a book. I have mentioned this in my 'how to stress less' blogpost, but it TRULY feels so rewarding you guys. Sometimes we are so surrounded by people and stress (especially if you live in busy, crowded cities) that it can drive us crazy. If every week you can have a little time to yourself, it will make you feel even more balanced and happy. Hi guys! 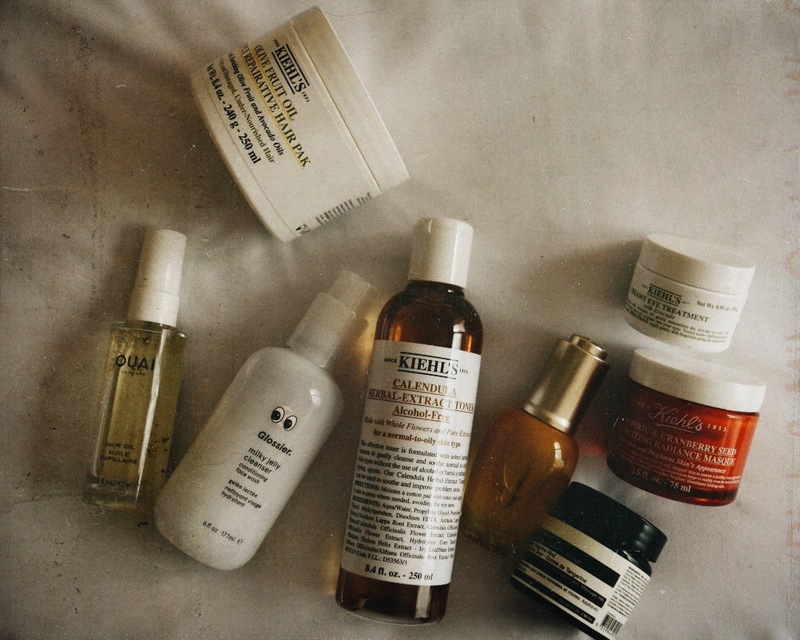 So I've never really done a post like this before and I thought it would be really fun to show you my absolute favorite skincare products, mostly of which I found in 2016. I'm really sorry to mention that year, I know we are so done with that, even typing 2016 makes me cringe. BUT, anyway, that aside, these are the products that have been in my vanity forever and I have no plan of letting them go just yet. Last year was a year that I really became obsessed with skincare--I don't really know what changed in me, but it is now a favorite past-time of mine to go onto Into the Gloss and browse beauty products I can dump my savings into. Seriously. 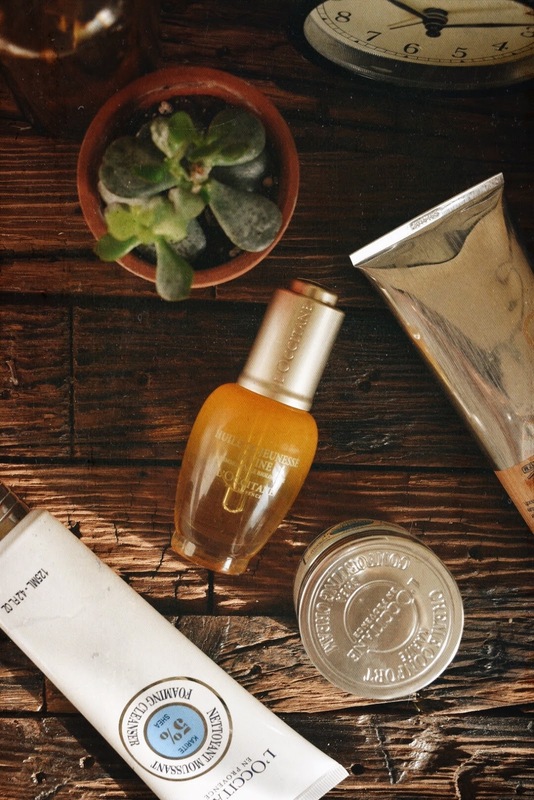 Even though most of these products are all different brands, I wanted to give a little list of the ones I have simply adored for a good chunk of time. Glossier -Milky Jelly Cleanser - I have truly been a fan of Glossier for about a year and I am always looking to see what products I want to try next. I actually did purchase this cleanser about 2 weeks ago and ever since I have been in love. I really love its faint rose smell and the consistency of the gel when it works with water. I feel like it cleanses my skin and makes it feel so refreshed and light afterwards. Definitely an amazing product and I am planning on buying into one of their serums soon...let me know if you have ever tried them. Kiehls - Calendula Herbal Extract Toner - This is another one that I had for a long time, then put away, then took back out, and now I have found a true love for it. Honestly all I can say is that it really does the job and makes my skin feel so crisp and clean (in a good way, if that makes sense). I also love the dried flowers at the bottom of the bottle. You can always feel great knowing there are flower petals in your cleansing routine. Aesop - Madarin Facial Hydrating Cream - I've been looking for a really basic, truly great moisturizer and I found that this is the one. It has a really nice, mandarin-orange scent and a creamy consistency. I love rubbing it into my skin at night and feeling hydrated and healthy. Kiehls - Tumeric & Cranberry Seed Energizing Radiance Mask - I am a sucker when it comes to Kiehls and their face masks--they have never disappointed me. One of my favorites is the tumeric & cranberry seed mask because it feels like it is giving back to your skin. It has real seeds in it and it nourishes, hydrates, as well as exfoliates and help fight redness (thanks to the tumeric seed). I could leave this on for hours, honestly. Kiehls - Creamy Eye Treatment with Avocado - Perhaps my #1 recommendation is this eye cream. I cannot tell you how much of a difference it made with my under eye circles and the overall look of my eyes. It feels so gentle yet you can tell it works hard to moisturize the delicate eye area. My best friend actually said 'wow, your eyes look great' right when I first started using this product. I was like omg. Keep. Forever. Okay, jumping to hair care real quick. Even though I have mentioned these 2 products on this blog before, I wanted to mention them again because I really love them. 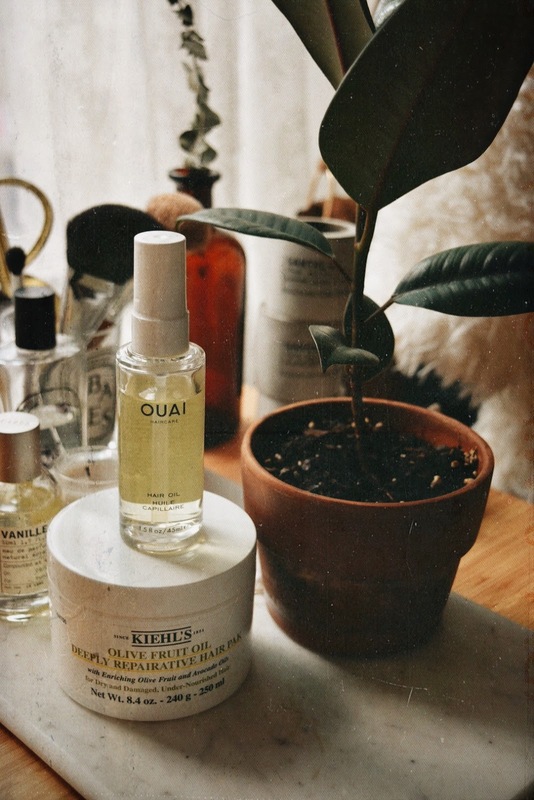 Kiehls - Olive Fruit Oil Deeply Reparative Hair Pak - Okay, I didn't even realize how many Kiehls products would be in this blogpost but I guess I have a tiny bit of an obsession. Their products just work so well! Every week I use this hair mask at the middle-to-ends of my hair and I cannot explain how silky smooth my hair is afterwards. It feels replenished and so unbelievably healthy. Using this hair mask and having a cup of green tea makes me feel like I am an independent woman ready to conquer the entire world. So, that is it! Let me know if you have any recommendations or if you have tried and loved these products too. I love hearing everyone's different experiences and recommendations! Hi guys! 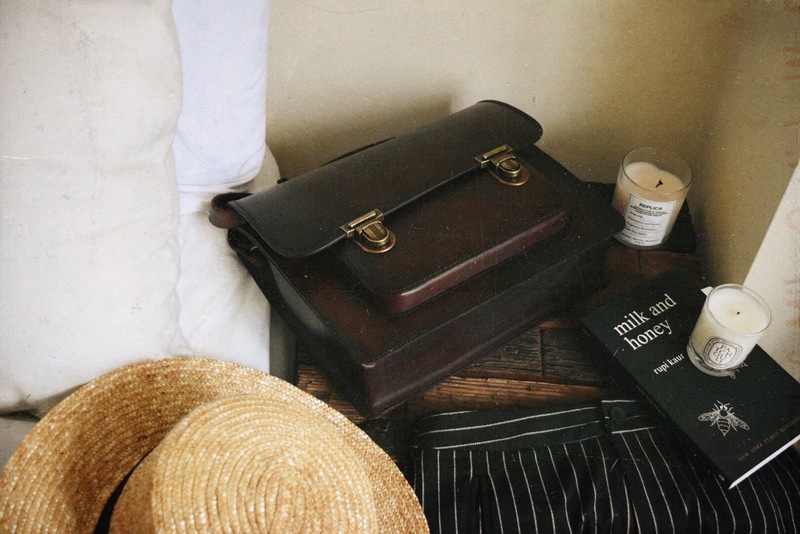 As you might have seen on my Tumblr and Instagram yesterday, I have a new beautiful vintage bag that I really wanted to share more of with you guys today. 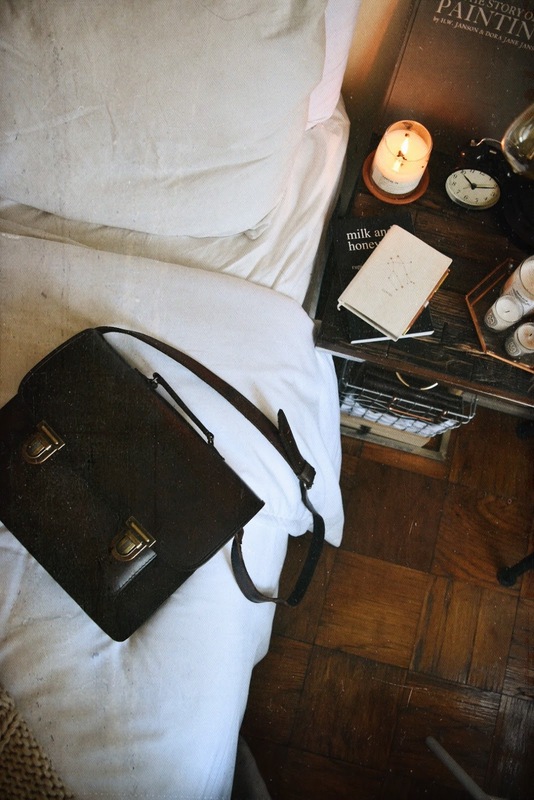 It will be my new school bag--aka the bag I keep all my pencils and notebooks and crumbled notes. I am sooo happy with it and the quality as well as the look of it just makes it an overall gem. I also definitely want to try and do a 'What's in my School Bag' type of video over on my channel soon--hopefully when the first week of classes dies down and I will feel focused and not so scatter-brained. Is it just me or do you need to like find the brain power to get yourself back into school mode. It is such a struggle. Anyway, I really hope you enjoyed this post and that you love this bag as much as I do. Let me know your thoughts! It is safe to say that winter takes a toll on our bodies--dry skin, brittle and static-y hair, dehydration, an urge to stay in bed for 30 more hours. 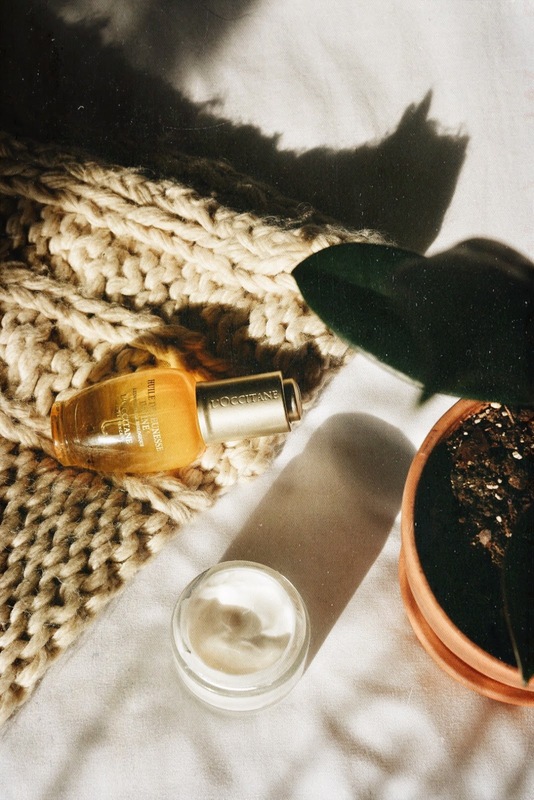 That is why I am so excited to share with you guys the new winter skincare routine I have developed that keeps my skin so clean yet hydrated and moisturized, thanks to L'Occitane. 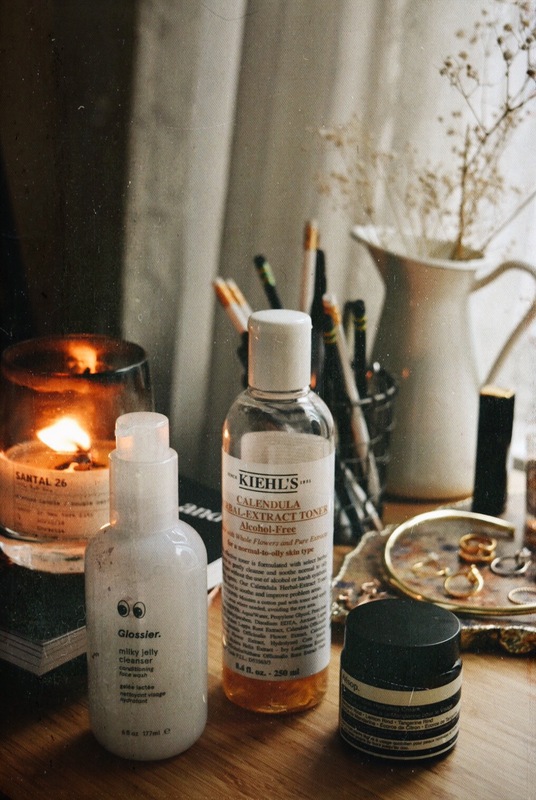 I have always struggled with keeping my skin okay during these bitter months, especially with walking in the cold so much in New York City, but now I can safely say I have developed a routine that works for me, yet that is simple and doesn't contain ten elaborate steps or anything like that. 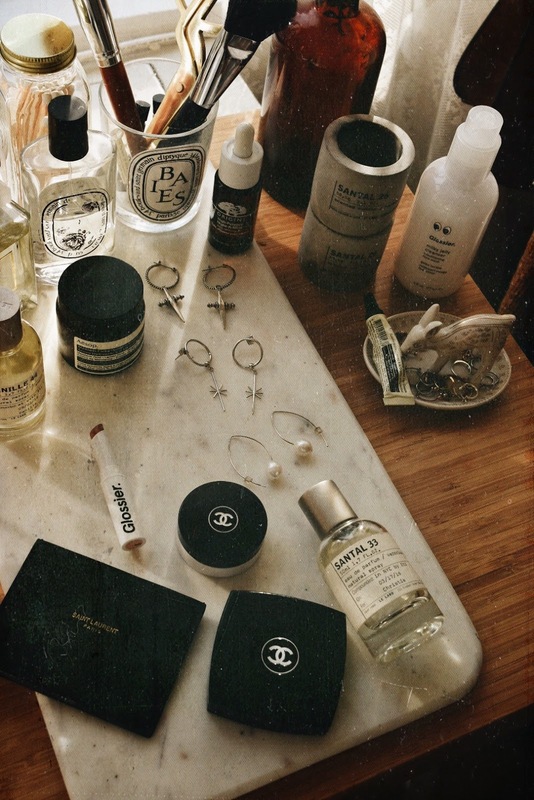 First off, my number one priority is to take off my makeup and grime from the day with a nice cleanser. I seriously can't tell you enough about the Shea Foaming Cleanser (pictured above in the sleek white tube). I never found a cleanser that truly felt like it was really working and taking my surface dirt off--I love this one because of how clean it makes me feel afterwards. I don't have to use yet another cleanser after it, which I have found myself doing before I switched over to this one. Basically, it is a cleanser with a creamy texture that turns into foam when you get it wet. It is so, so amazing. And smells so fresh! Next is a product that was a bit different for me but I fell in love with it from the start. 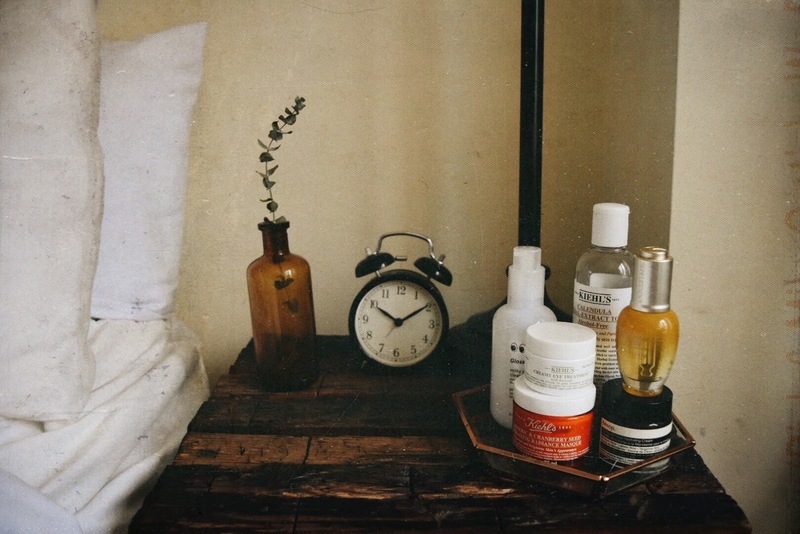 I've been beginning to think that just because we are young, doesn't mean we can't start taking care of our skin and getting prepared for aging. I know, even that word (aging) alone is weird. 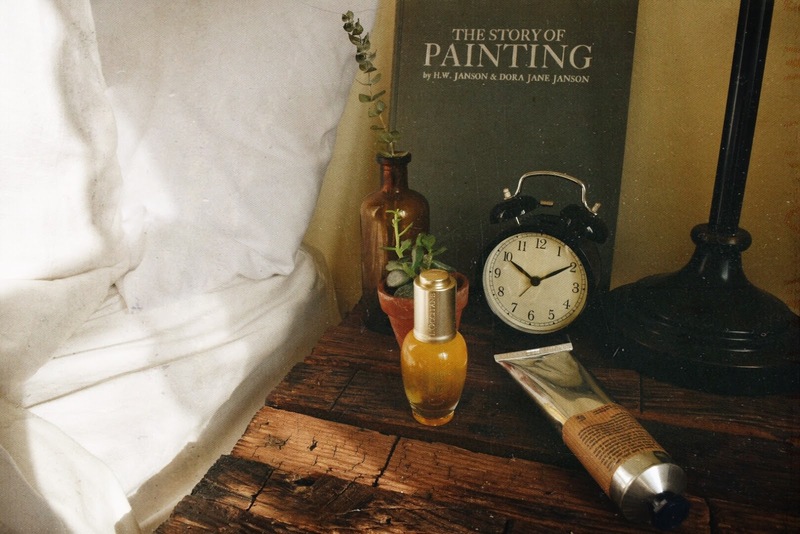 But, including the Divine Youth Oil in my morning routine has made me feel so lovely and nourished, and like I am doing something very right for my future skin. It comes in that beautiful yellow, glowing bottle with a little dropper. Also, I love the feeling of the oil against my skin in the morning, it makes me look radiant yet not oily. It is so moisturizing and sinks into skin and makes it feel revitalized again. Fun fact--the main ingrediant in this product is actually from the Immortelle flower, a flower found off the coast of Corsica that never fades, even after it's been picked. Flowers on my face, yes please. Last but definitely not least and perhaps the most important step, the Shea Butter Light Comforting Cream. Honestly, it is all in the name--it feels so light yet it truly moisturizes deep and leaves you beautifully hydrated. This cream has 5% Shea Butter and has a non-greasy texture that protects and helps skin stay hydrated. I apply this before I go to bed and once I wake up to keep my skin as on point as it can be. In addition, though it is not face-care, I've been using the L'Occitane Shea Butter Hand Cream just to keep my hands nourished as well. I love the silver, flexible tube and just the overall consistency of the cream. It truly works wonders, like the whole Shea Collection does. That is my power winter routine and again, only three steps! 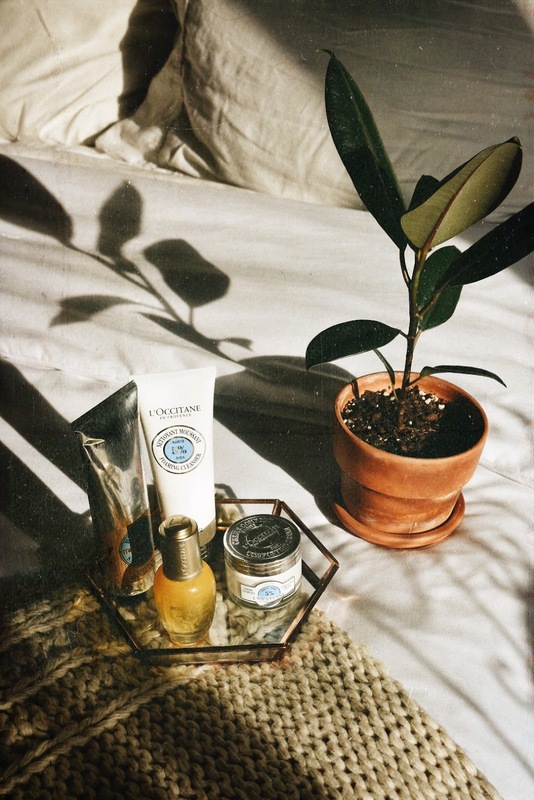 I was so wonderfully surprised at how little of amount of effort it took to stay so hydrated and glowing throughout this season, all thanks to L'Occitane. Check out their site here and Instagram here! I am such a huge fan. Thanks so much for reading and I truly hope you guys found useful products for keeping hydrated for your own winter skincare routine! 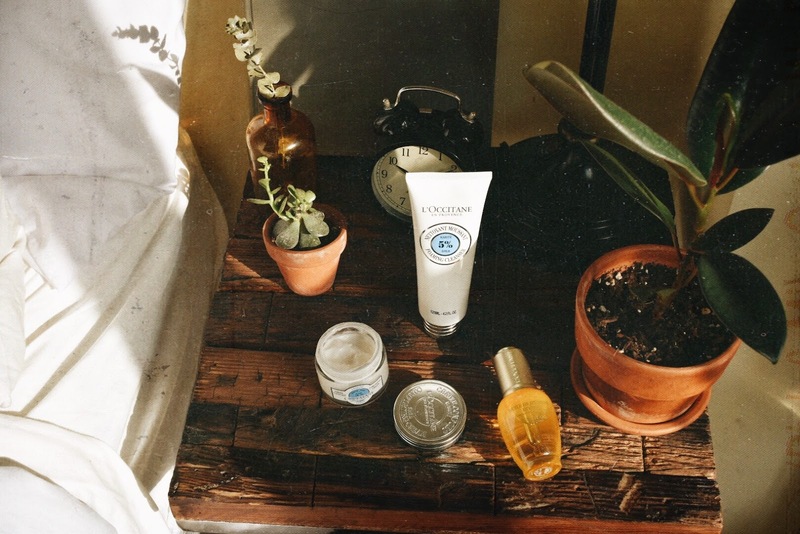 Let me know if you have any L'Occitane favorites or if you plan on trying some! Hi guys! 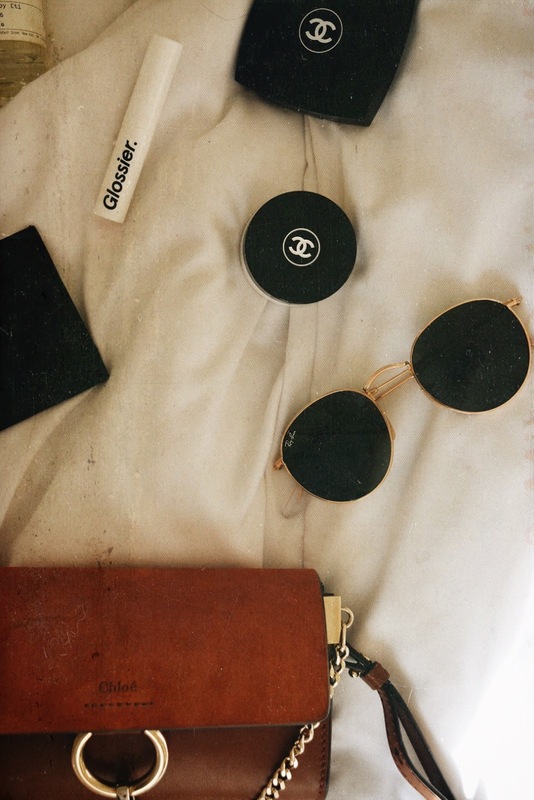 I haven't done a blogpost like this in a while and I think it is time for an update on what I usually carry around with me in my bag. 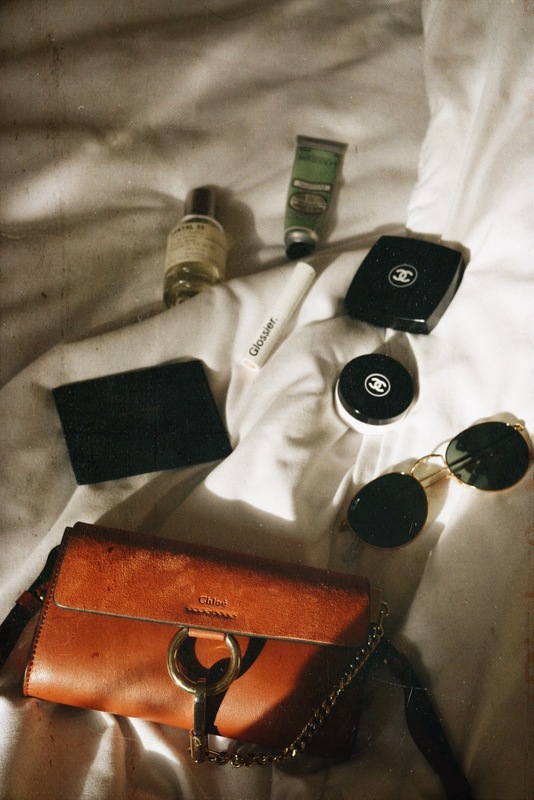 Also, I realized I haven't shown my Chloé on this blog yet, so I thought this would be the perfect post for that...though, I can only bring 3 things with me in it because of it's mini size. So normally, to fit all the items I'm going to show, I would take a bigger bag like my All Saints one or my Free People vegan tote. Just to keep that in mind! Saint Laurent card holder: This obviously is my wallet that holds all my cards, my metro card, and ID. I just got this for Christmas from my parents because I just wanted something really sleek, simple, and adult like that could fit into any purse and I can just throw in on the go. I am done with big, chunky wallets that have my coins everywhere and crumpled receipts from 345 b.c. Lip Moisturizer: Okay, now normally I am not one to splurge on such an expensive lip moisturizer (before I used the Mario Badescu rose tube, which works wonders too) but I couldn't resist buying the Chanel Hydra Beauty lip balm (pictured above in the circular jar) because it was on sale and have wanted to try it for forever. I also don't regret it because it is soooo hydrating and lovely. So that has become a staple in my bag for sure! Hand Cream: Especially now with winter being so brisk, I need a hand cream when I'm on the go. 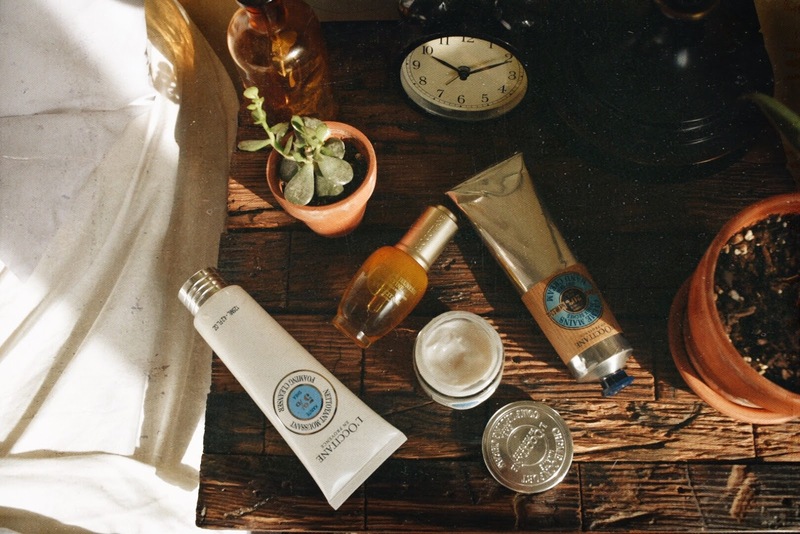 I've been using the L'Occitane Amande 'Mains A Croquer' cream. It smells really nice and keeps my skin so hydrated. Chanel Mineral Powder: Just in case I'm going to an event or I'll be out for a long time, I love taking this powder with me for touch ups in case I get oily or if my skin just starts looking drab. The specific powder I take with me is 'poudre universelle compacte' in the shade translucent 2. Lip Tint: Again, I love taking a lipstick/lip tint with me if I know I'm going to be needing a touch up later. I just purchased the Generation G lip tint in Cake from Glossier and I already know it will be my on-the-go lip tint. Sunglasses: Of course, an essential, especially if it's a sunny day. I usually go with my rounded Ray Bans because they're simple and one of my forever favorites. 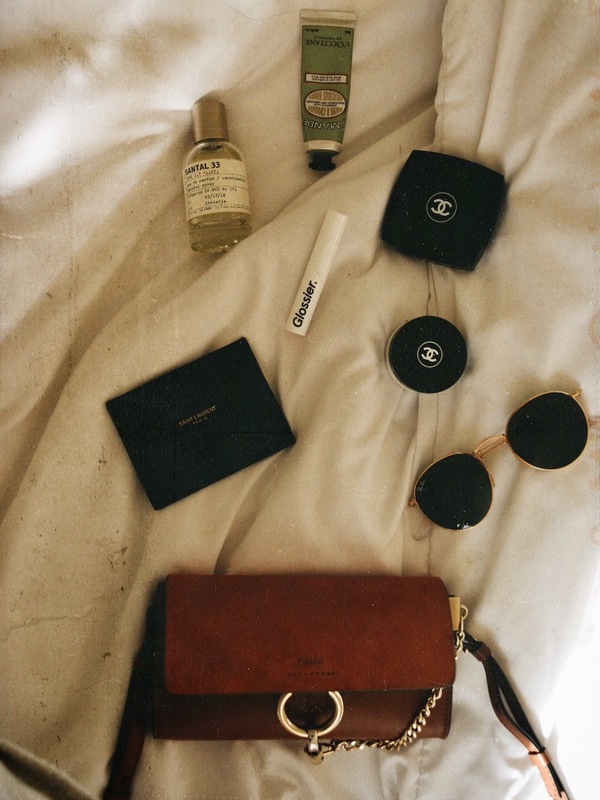 Perfume: Little samples or a mini bottle (like above) is perfect for my bag, especially if I'm going out or just want to constantly keep smellin' nice. 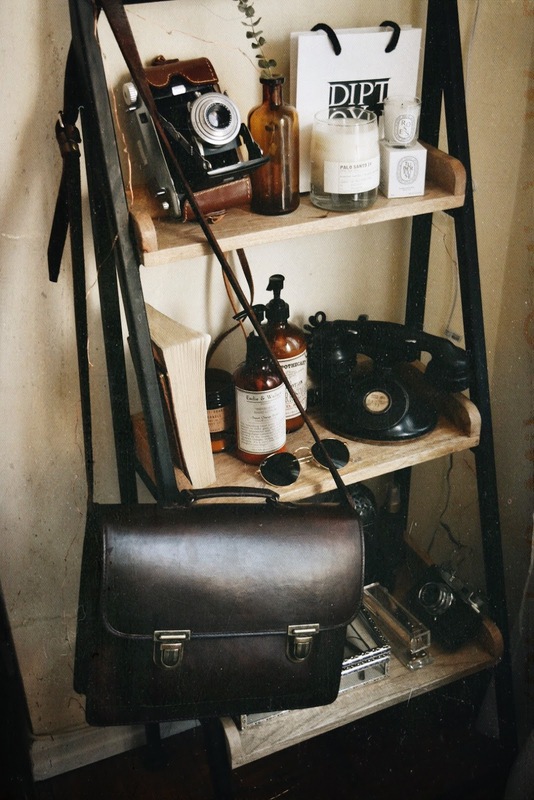 My favorite scent is Santal by Le Labo. Sometimes I'll take headphones, business cards, and my camera with me too, but only for extra special occasions. Oh, and hand sanitizer and gum/mints. And that's it! I really hope this was helpful or just an interesting post to read in case you were curious. Honestly, I don't carry that much with me. Sometimes I see beauty bloggers doing this and they have so many items! So I'm sorry if this wasn't that exciting. But anyway, hope you have a beautiful Friday and I will be back here with another post soon! 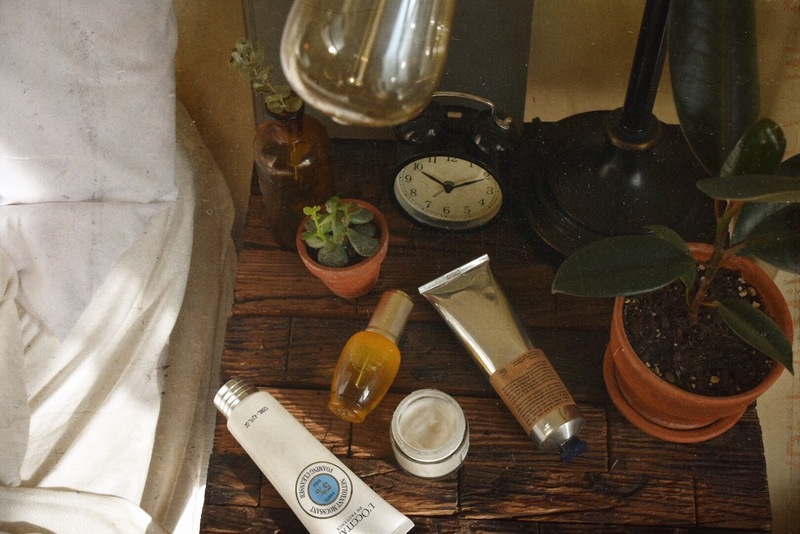 Stay tuned for my night routine featuring L'Occitane...oh la la! "What is the most important thing that makes your relationship a happy relationship?" I love this question! I think that support is unbelievably important. Adam always, always supports me in everything that I do. He's always the first one to like my photos or leave a sweet comment, always helping me with my business emails or even taking photos for me when I can't find a friend/photographer and I'm in a rush. He is always so happy and proud for me, and of course I would do the same for him. No matter what he decides to do with his future, I'll be right there, holding his hand, and he'll be holding mine. "What are some of your favorite coffee shops in NY?" My favorites include Ost Cafe, Stumptown Coffee Roasters in the West Village, Toby's Estate in the West Village, and Epistrophy in Soho (even though that is more of a lunch/brunch spot, you can still get a really nice latte). "What first inspired you to start a blog/Youtube channel?" I actually didn't start my blog thinking 'okay, I want to be a fashion blogger'...it sort of happened by accident! 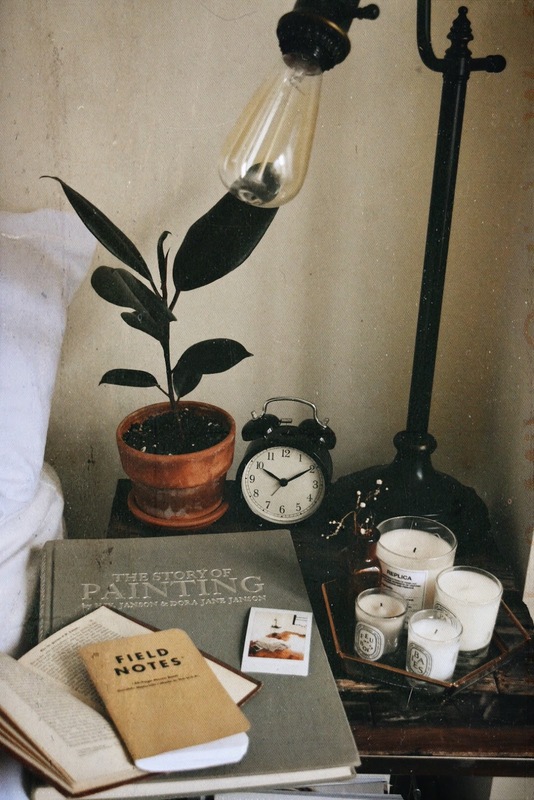 I loved Tumblr (still do obviously) and I got majorly influenced by the pictures I saw and reblogged and I thought, why don't I try taking my own photos? So I started a side blog just so I could have a little diary of all the photos I took. Then, people started seeing it and asking me questions about my room/styling/etc. and I thought "omg this is so fun". I started posting more and more, people asked more questions, and it just rolled from there. Then I started working with brands. And I realized 'this is my dream job'. Then Youtube came with the blogging because my followers really wanted to see videos so I was like 'okay why not' and that's when I started on Youtube! "What's the best piece of advice you've ever received? Your positivity is so inspiring!" Thank you so much :') I wasn't always so positive though. Like I've sort of said before, like in my Youtube videos and other advice questions, I used to be really sad and sort of went through a hard time in middle school/high school, way earlier than people usually do. My dad told me "positivity attracts positivity, and negativity attracts negativity." It isn't until now, that I truly took his advice, that I truly understand what that meant...and it is so true! It's like when you're having a bad day and you're angry at the world...that's when little things start happening that piss you off even more. It is because of that negative energy that is attracting those annoying, bad things to happen. But when you're positive, you'll be surprised at how many good little things happen. It is all about changing your mindset and attracting those things that you want with a good, natural light. That is the best advice I've ever received. "What is your favorite book/film and why?" I'm going to go with film because I haven't been able to read many books lately :"( too much going on. But I just saw La La Land and hands down it is the best film I have ever seen. It is so beautiful guys you must see it. The music, Emma Stone & Ryan Gosling, the story, the filming of it...all of it is so wonderful. It is about dreamers and romantics and I have always been both of those things so everything in that movie just pulled on a heart string in the best way possible. "Where do you want to travel to?" There are so, so many places. I still haven't got to Europe and I must do it soon. I really want to go to Paris, Italy, London, Amsterdam, Berlin, Stockholm. Paris is my #1, of course. 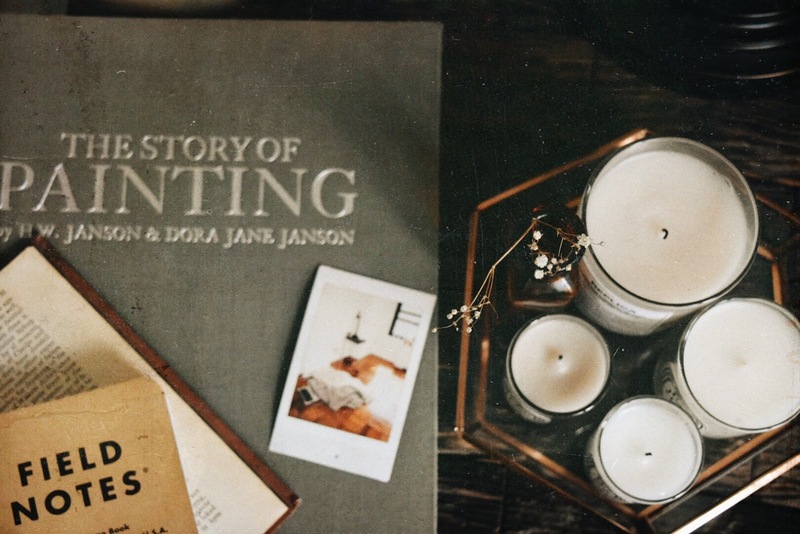 "What advice would you give to turn fashion blogging/Pinterest/Instagram into a career?" I would say make a business email. Reach out to companies. Take every opportunity you can, even if it is not paid. 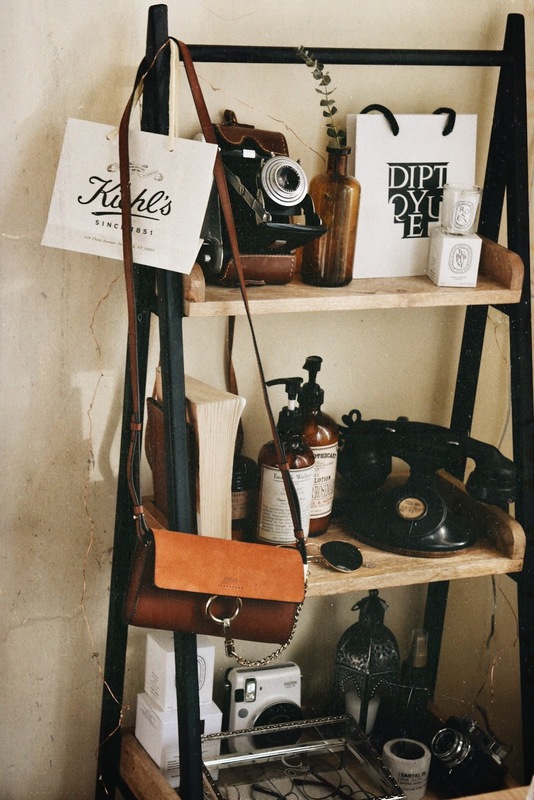 Develop a style and aesthetic that is simply you. Be super kind. Experiment, grow, and stay super, super dedicated. "Can you name your top 5 artists/musicians/bands that you really like?" Gregory Alan Isakov, Bon Iver, The Lumineers, The 1975, and Keaton Henson. "Who are your fashion icons? What would you do if you weren't a blogger? What are you studying?" I really admire Alexa Chung. She is so beautiful and stylish. 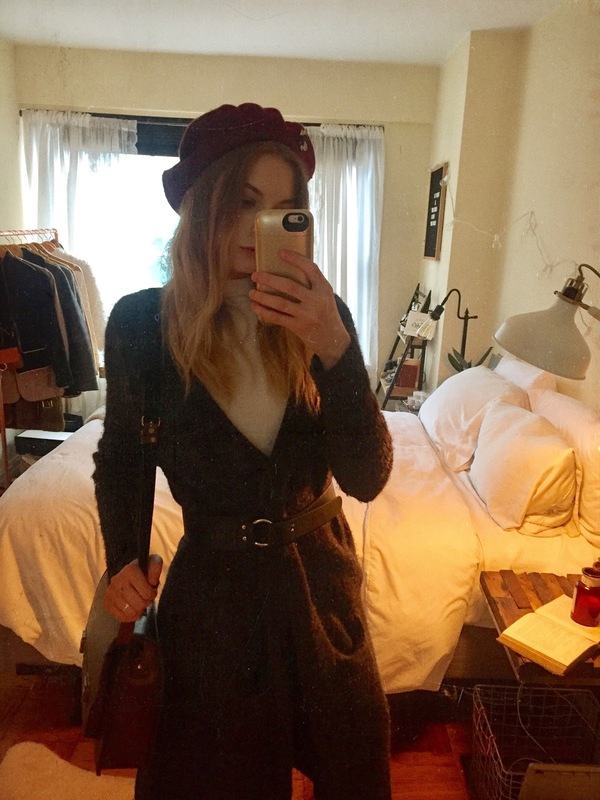 Lily Rose Depp, Camille Rowe, Jane Birkin, Jeanne Damas, all the French gals I follow on Instagram. If I wasn't a blogger I would definitely still be studying fashion and doing what I do now, but I guess I would do social media or styling for another company. Or I would work for another blogger. And I am studying marketing! "How do you edit your pictures?" I use Vsco Cam & After Light! That's it my friends! Thank you so much for those who asked questions, I'm sorry I couldn't do them all, I just wanted to keep it short and sweet but answer the questions that you guys really wanted to know answers to. Let me know if you liked this format, I would totally do this again! And, I'm sorry about my Youtube funk, hopefully it will be over quickly and I should have a video up soon! Hope you all have a great day. A huge thing that happened in 2016 was moving into my own apartment. Though it's a bit fuzzy, that polaroid up there was taken the day I moved in. Literally a blanket, a pillow, a laptop, and a night stand table on a wooden floor and some random plants on the window sill. Whenever I look at this photo there is a tug at my heart that just reminds me of how lucky I am and how much things can grow and be created. Now my room is my literal sanctuary. I don't even think I would change anything about it, which is huge for me to say since I am always fussing around with styling and interior. 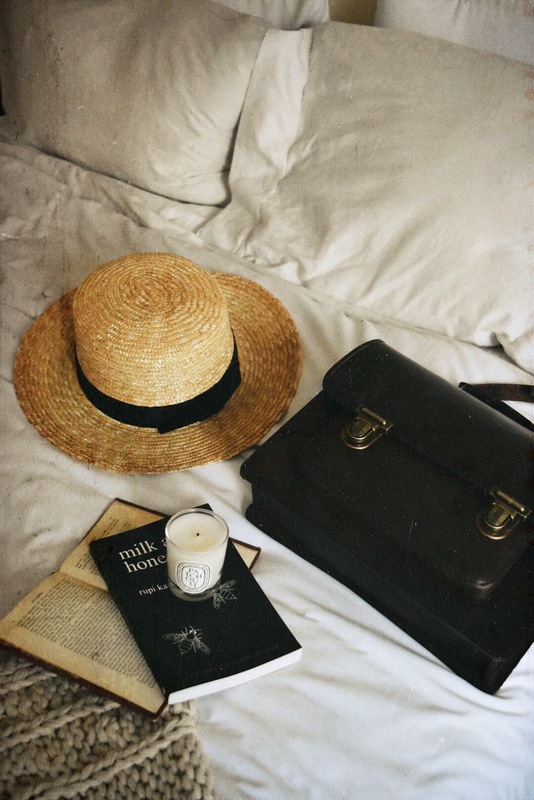 Another thing that I am just so happy about is my blog and how I really know what my style is now--what I love to photograph, what kind of mood I want to capture, what clothes I actually like, what I want my future career to be. I have experimented with all types of styles in the past, and if you scroll back into the archives of my Tumblr (please don't) you can see how my style has evolved every year. I feel like now I truly know what I like and what I don't like--something I have been working on for so long. Obviously my style will continue to change, but at least I feel like I have a really good grip on it now. When it comes to love, I've been in the longest relationship I have ever been in and it doesn't even feel like it's been that long. All I know is every day I fall more and more in love. I seriously didn't think that was possible. With all of this reflecting aside, there are still things I want to work on and improve on in 2017. Because I have always been shy and timid, I would sometimes turn down opportunities because they were too out of my comfort zone or because of my nerves. In 2016 I really tried changing that and it has worked, but I still want to keep going and keep saying 'yes' to more photoshoots, events, even meetings with new people. 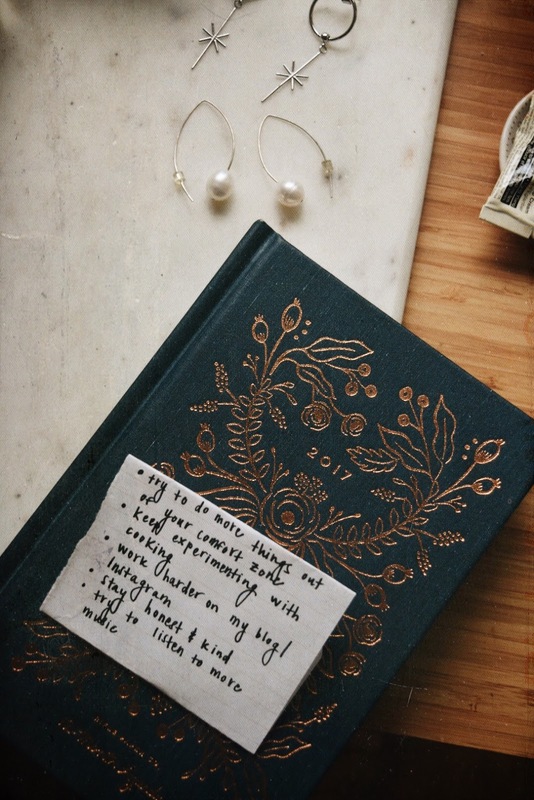 The other little things on that list are just things that have been on my mind, but still I want to grow and take them into consideration. The main resolution is to just do more out of my comfort zone and learn to be more confident and not so afraid. Woo, this was a long one! Sorry for the rampage but I felt like it was necessary. Again thank you all so much for all your support. What is your new years resolution?